Today, 7 March is Milton Avery’s 132 birthday. Avery was one of the most important homegrown modernist painters in America before modernism was widely accepted. The Avery Estate has just announced the artist’s European representation with London’s Victoria Miro Gallery an enterprise devoted to preserving and promoting the art and achievements of Avery. Victoria Miro will further promote the artist’s legacy through curated exhibitions at its London galleries, new publications, and international presentations. Born in Altmar, New York, in 1885, Milton Avery moved with his family to Hartford, Connecticut in 1905. After studying at the Connecticut League of Art Students, he worked a succession of night jobs in order to paint during the daytime. Avery moved to New York in 1925 and in 1926 married Sally Michel, whose earnings as an illustrator enabled him to concentrate more fully on painting. His first exhibition in New York was in 1927, though it was not until 1935 that he had his first one-man exhibition, at the Valentine Gallery, New York. In 1944 his first solo museum exhibition opened at the Phillips Memorial Gallery, Washington, D.C. In 1952 he visited Europe for the first time, travelling to London, Paris and the French Riviera. A retrospective exhibition opened at the Whitney Museum of American Art, New York, in 1960; a second retrospective was held at the Whitney Museum of American Art in 1982. 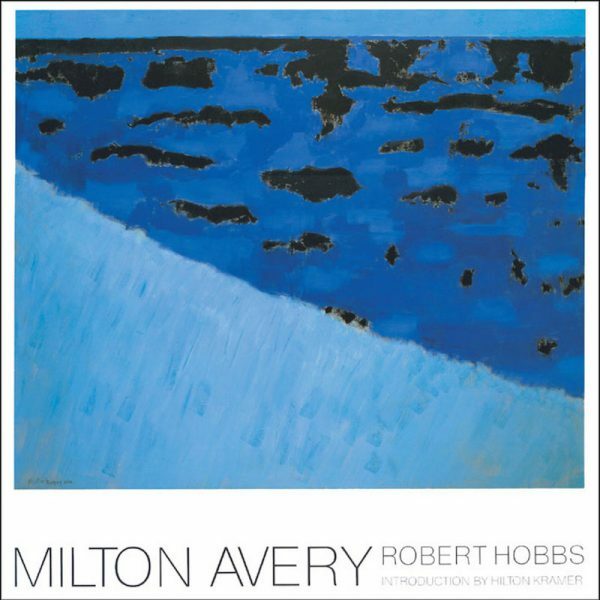 In 1962 Milton Avery: Painting 1930-1960 by Hilton Kramer, the first monograph on Avery, was published. Milton Avery died on 3 January 1965 in New York, aged 79. Avery’s work is represented in museums and private collections worldwide, including: Albright-Knox Art Gallery, Buffalo, NY; Art Institute of Chicago, IL; Hirshhorn Museum and Sculpture Garden, Washington, DC; Los Angeles County Museum of Art, CA; Metropolitan Museum of Art, NY; Museum of Fine Arts, Boston, MA; Museum of Modern Art, NY; National Gallery of Art, Washington, DC; National Gallery of Australia, Canberra; Philadelphia Museum of Art, PA; The Phillips Collection, Washington, DC; San Francisco Museum of Modern Art, CA; Smithsonian American Art Museum, Washington, DC; Tate, London; Thyssen-Bornemisza Museum of Art, Madrid, Spain; Walker Art Center, Minneapolis, MN; Whitney Museum of American Art, NY; Yale University Art Gallery, New Haven CT.